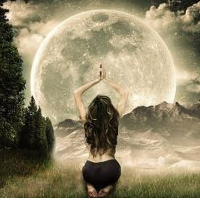 The Full Moon represents the most powerful point in the cycle, it is a time of high energy and high power and is a time to release and let go of all that no longer serves you, in order to welcome in the new. In the cycle of death and rebirth, the Full Moon represents the starting of the death. Join us in a sacred circle where we will share wisdom and inspire each other. You will enjoy a joyful burning bowl ceremony that will assist releasing that which no longer serves your highest good.